This November, Texas is going to be home to one of the biggest Senate battlegrounds in the country: the tight race between incumbent Rafael Edward “Ted” Cruz and Robert Francis “Beto” O’Rourke. At the end of September, these two candidates faced off in the first of their debates. This debate was focused on issues of domestic policy and covered topics ranging from the NFL protests to gun rights and taxation. Going into the debate, many assumed that Cruz would be the obvious winner of the debate. However, O’Rourke held his own well and even seemed to win the debate according to some people. This assumes that everything that each candidate said was true. As we know to be the case, people don’t always tell the truth. The first major deviation from truth came from O’Rourke when he claimed that Cruz was lying and trying to slander his name when Cruz said that O’Rourke called police “modern-day Jim Crow.” The quote where O’Rourke said this comes from one of his rallies. When he used this phrase, he was talking about a system in which he says that police judge people solely on the color of their skin. However, he attributes this to all police officers, not just the ones that do this. Therefore, even though he did not explicitly say “Police are modern-day Jim Crow,” he heavily inferred it based on the context of the quote. The next question was on the NFL protests. O’Rourke compared these protesters to the Civil Rights movement of the 1960s. He talked about how they are fighting for the same thing. Cruz countered this point by saying that the leaders of the Civil Rights movement would not have agreed with a protest that was disrespectful to America. After this, the two were asked about the Kavanaugh allegations. This was before the testimony and Kavanaugh’s confirmation. Cruz talked about how we need to hear both sides, and that he believes that Kavanaugh is a good pick to the Supreme Court who will interpret the Constitution as it is written. He says that O’Rourke has supported liberal activist judges because he supported Hillary Clinton. O’Rourke tried to counter this point by saying that Kavanaugh is not the best for Texas because he doesn’t fit Texan beliefs. Cruz responded by saying that he would interpret the Constitution literally and that the judges that O’Rourke would support are anti-2nd Amendment (2A). This is where we first see O’Rourke on the defensive. He first tried to call Cruz out on not knowing how our government works because the House has no say in Supreme Court confirmation. However, O’Rourke supported Hillary, and thus her judges, who she said would be anti-2A. He then tried to claim that he’s actually pro-2A. At this point the moderator ended that question and moved on to the next. The next question was about gun rights. O’Rourke has stated before that “assault weapons” need to be banned. However, this term has no real meaning. From what he was talking about, I assume that he meant guns like the AR-15. He claims that a Vietnam Veteran was talking to him and he told him that an AR-15 is more dangerous than the weapons he had in Vietnam, which was mainly the full-auto M16. This claim is completely outrageous. Even though they shoot the same caliber of ammo, the M16 had a maximum fire rate of 900 rounds/min compared to the 60 rounds/min of the AR-15. O’Rourke also claims that the AR-15 was only intended to kill people, which is blatantly false. The AR-15 might look like some military weapons, but it was designed for civilians and not for military use. When Cruz got a chance to respond, he mentioned that we need more armed guards and these shootings are due in part to the removal of God from the public square. O’Rourke addressed the first point with only a couple of anecdotal quotes from people, not hard data. Then he says that we need more than thoughts and prayers. This drew a big reaction from the crowd, but Cruz did offer a solution and O’Rourke gave no reason that it wouldn’t work. In the next question, O’Rourke blamed Cruz for Trump’s tariffs, which were passed unilaterally by Trump. Cruz brought up O’Rourke’s repeated votes against farmers as evidence that he can’t be trusted. On some questions about his past, O’Rourke seemed to change some of the details. He mentioned that he did not flee the scene of his DWI, even though there was an eye-witness that saw him do so. He also said that he didn’t want to legalize all narcotics, but he introduced a national debate into legalizing narcotics, which you wouldn’t do if you don’t want them to be legalized. 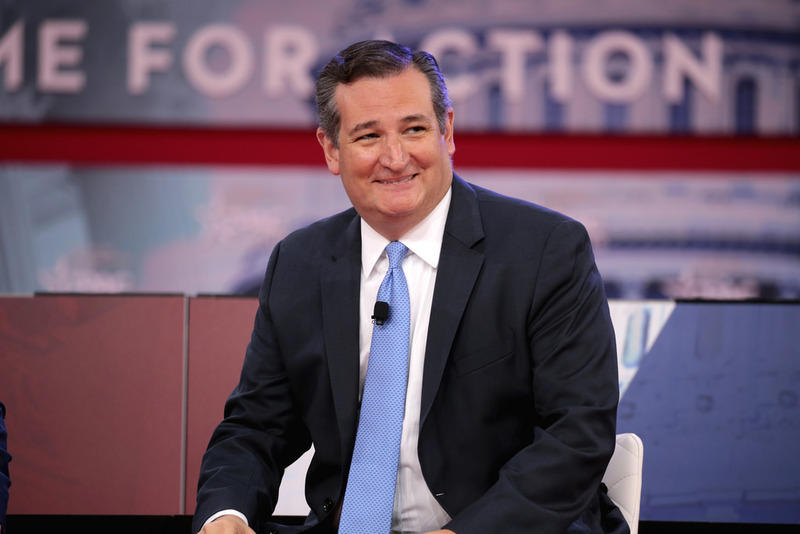 On the topic of Obamacare, Cruz said that he wants to repeal Obamacare, mandate protection of preexisting conditions, and allow for more competition in the healthcare system. O’Rourke said that it would be impossible to fully repeal Obamacare and keep protection for preexisting conditions. O’Rourke also mentioned how he wants universal healthcare or “Medicare for all.” This would seem to be his answer to rising premiums because he gave no real answer in the debate. Finally, on the issue of the big tax cut, O’Rourke kept trying to claim that Cruz had been bought off by PACs (Political Action Committees) and corporations to give them more money. He said that the tax break would help the rich more than it did the poor. However, this is to be expected because of the US’s tax structure. The top 50% pay 97% of taxes. O’Rourke seemed to forget about the tax bill doubles the child benefit, which gives money back to the people. O’Rourke made the claim that his campaign is only funded by people. However, if you look at his donation records online, you see that he has gotten money from AT&T and Alphabet Inc., which seem like weird names for people. O’Rourke is not honestly representing his donations, and this could undermine his campaign because the foundation of his campaign is that it is 100% people-funded. In answering the final question, Cruz simplified his and O’Rourke’s stances on taxes. Cruz said that a vote for him is a vote for lower taxes, but a vote for O’Rourke is a vote for higher taxes. Before their closing statements, each candidate was asked to say something nice about the other. They both said a similar point about dedication and the like, but Cruz talked about how O’Rourke truly believes in what he believes in like Bernie Sanders and they believe in the same thing. O’Rourke took offense at this and made the comment “true to form” which got loud applause at the event. O’Rourke was trying to highlight how Cruz brought politics into a non-political question, but his shot at Cruz shows something deeper about O’Rourke. Cruz said what could have been taken as a compliment, but O’Rourke took it as an insult. This is because O’Rourke doesn’t want the people of Texas knowing how far left he actually is. When I first heard of him, I heard that he was a moderate democrat. However, he is a socialist and this is a point that Cruz wisely made in his closing. As it stands right now, Cruz has a 9 point lead. He could widen that gap before election day by showing the people of Texas who O’Rourke is and radicalizing the difference between himself, a constitutional conservative, and O’Rourke, an open-border socialist.